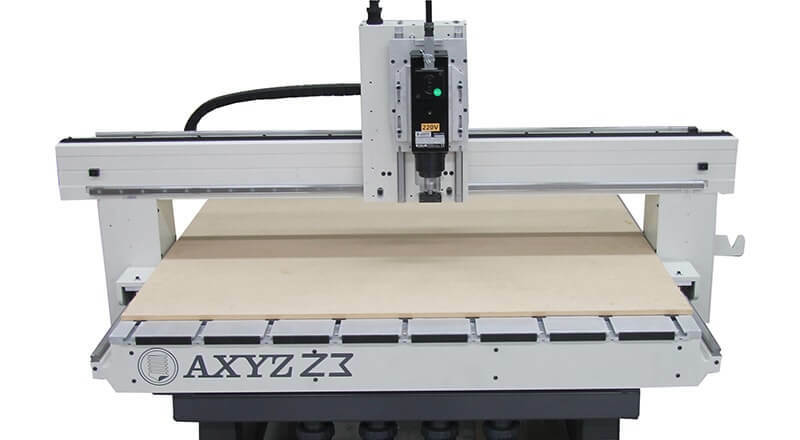 The Z Series CNC router is a completely re-invented version of this classic workhorse. It offer the robust construction that AXYZ products are known for, combined with a budget-conscious set of configurations. 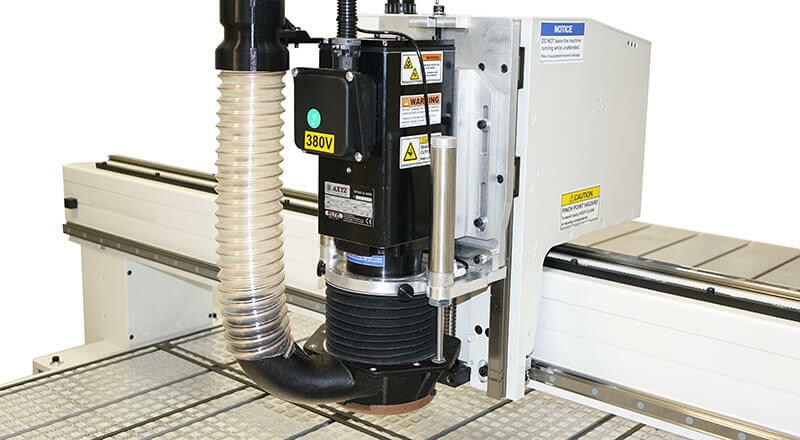 The Z series offers multi-purpose routing machines, designed for cutting all types of plastics, woods, foams and non-ferrous metals in both 2D and 3D. How can Z-Series help your business grow? Popular with first-time users, the Z Series is suitable for small manufacturers looking to automate their business and expand their production capabilities. 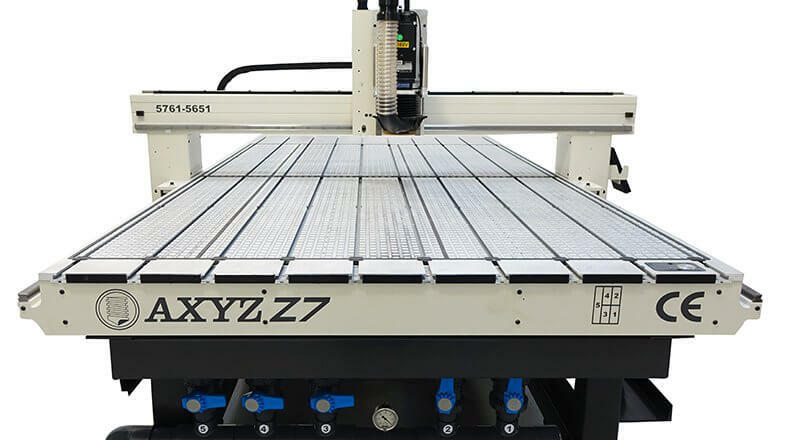 Available in two sizes, the Z series CNC router offers a process area of 52" x 53" (1320mm x 1345mm) or 60" by 98" (1524mm x 2500mm). With high-quality components from leading suppliers as standard, the Z Series offers a machine specification that suits the standard material sheet sizes, while also offering outstanding performance. 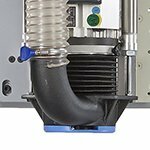 The Z series is available with a standard process area, designed for efficient use of material sizes and designed for a high performance-to-price ratio. 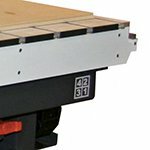 With features typically found on higher priced machines, including welded steel frame, profile linear bearing rails and a multipurpose aluminum vacuum and clamping bed, the Z series is hard to beat. The Z Series includes a single carriage with a Z axis driven by precision ballscrew for accurate depth control and full 3D processing. 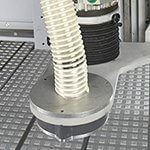 Tooling can either be a routing spindle, knife tool or plasma option which can be interchanged to offer great versatility. A rigid, welded steel frame, fitted with an aluminum deck, creates a strong structure to support the most demanding processes. Rack and pinion drive system on X and Y axis. Precision ballscrew drive with preloaded ballnut and fully enclosed ball re-circulation system on Z axis. 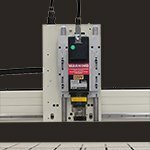 A 6" Z-Axis gantry clearance comes as standard with the option of 7.5" to accommodate your products and machining requirements. 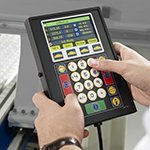 Full machine control at your fingertips for fast and easy machine setup in an intuitive and compact package. The A2MC delivers much smoother and faster motion based on S-Curve (Seven Segment Velocity) trajectories. This motion profile reduces the bounce and vibration created from sudden acceleration or deceleration in many other control systems. It is also fully NC code compatible so it will work with virtually any known CAM package including Vectric, Artcam, Type 3, Enroute, Mastercam, Alphacam and more. 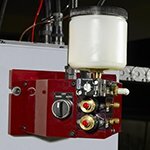 Vacuum zones can be switched with manual valves or automatically by the machine controller. An automatic tool length sensor which ensures accurate and consistent cut depths is fitted as standard on all AXYZ machines. 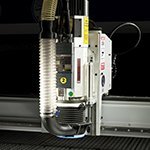 Compatible with a range of CNC router options, the Z series can be customized with high performing productivity enhancements. 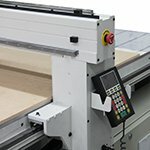 Your local AXYZ technical sales engineer will help you select a CNC machine and set of options to meet your unique needs. 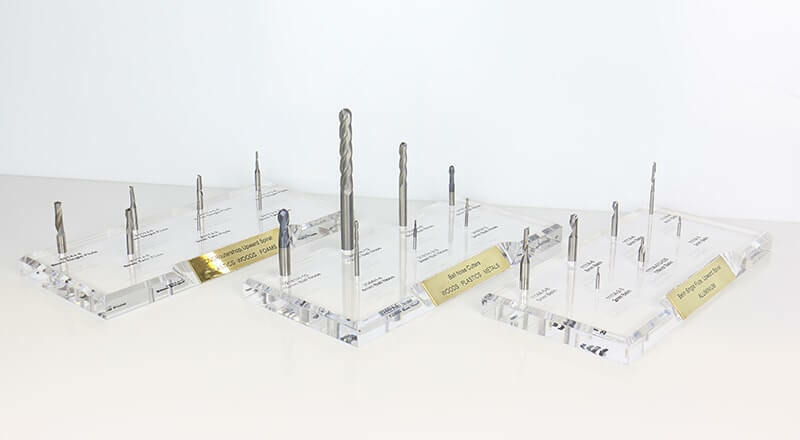 Spindles are available from quality manufacturers such as HSD and Elte. 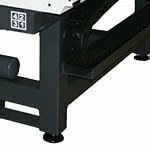 The Z Series offers either a 3HP or 5HP collet spindle, or a 5HP quick-release spindle. 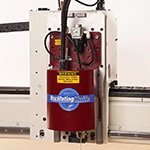 Choose from a standard tangential knife, or high performance oscillating knife as an alternative choice to the routing spindle. A wide range of blades are available for cutting flexible and semi-rigid materials. Certain materials, in particular Aluminum and other non-ferrous metals, often cut better with a small amount of lubricant or coolant. 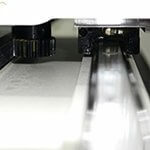 The Unist Mister option will automatically apply a pre-set amount to the tool during cutting and is compatible with all pressure feet options. 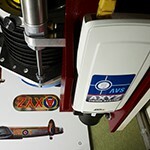 The AXYZ Vision System (AVS) uses registration marks on printed materials to adjust the cutting program for perfect alignment. 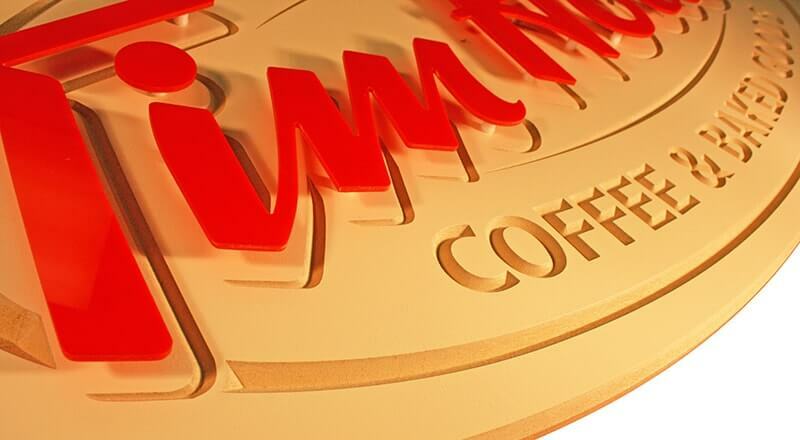 This essential option for cut-to-print applications works with all cutting tools and materials. The High Capacity Pressure Foot is a must have for any AXYZ CNC router. An efficient, vertically orientated extraction ensures excellent swarf extraction, whereas dedicated hose management prevents unnatural bending and safeguards the hose from interfering with machine operations. Available with a whole host of optional enhancements including the cold air gun, Unist Mister, bellows, donuts and nose rider. The Universal 5Y pressure foot plays just as vital a role as the high capacity pressure foot. 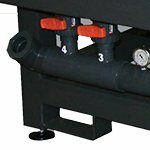 It has been specifically engineered to accept up to 73" diameter hose and allows for manual adjustment of the ride height for faster material and tool setup often demanded in today's busy workplace. Swarf extraction is highly efficient thanks to the unique internal cyclonic design. Convert your CNC router to a plasma cutter in minutes. 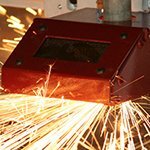 Cut aluminum, sheet metal and stainless steel up to 1/2" thick at cutting speed over 200ipm with excellent edge quality. 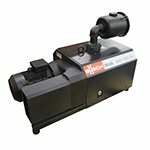 Select from a range of high-power pumps or blowers to suit machine size and application requirements. "The router has never let me down, you turn it on and go to work. 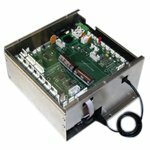 I’m sure at one point something will need replacing, but as of yet, it works great and has been a joy to run." 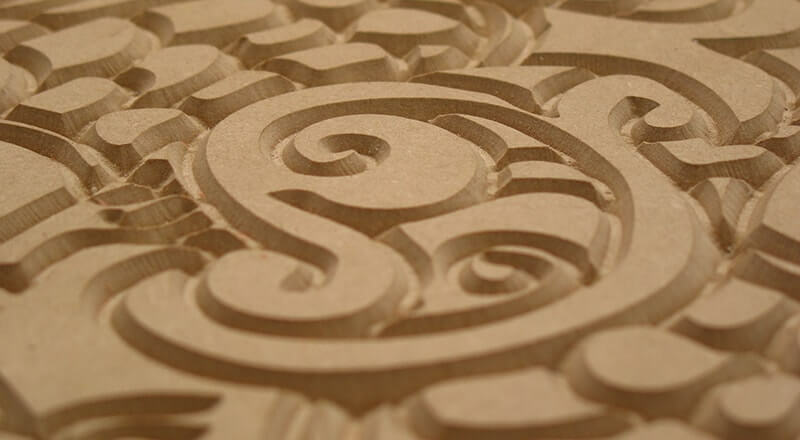 "Having a router in-house means my imagination can go as wild as I want, because anything I can dream up I can figure a way to run it on the CNC to make it. Before I could only go as wild as my vendors could go."